Freelance Music Composer for Video Games, Films & Media. Need help with the music for a game, film, commercial or anything else? Top highlights from this blog to your inbox, twice a year only! Thank you for subscribing to my newsletter! You will receive an annual round-up of the top gamedev / game music related articles from my blog. As a composer for games, film and other media, I am often asked about sound effects and where to find some for various projects. I myself specialise in music only (see more about me!) and so I don't create sound effects - however, there are many resources online which offer great audio clips for various uses. Many of these are free to use, some requiring creator attribution and some not at all. Others do charge for the sound effects but they don't charge much, so they're worth exploring too. I've attempted to list some of these sound effect libraries in the hope that this is a helpful reference for you. This site is dedicated purely to offering free sound effects and samples. It’s a great resource for game developers and others in need of various sound effects. The site is easy to navigate and the sounds are categorised well. The site may look sparse but that’s because it’s a search engine for audio clips rather than a site listing lots of sound effects. Simply type in whatever types of sound effects you are looking for, and let the search begin. It’s very easy to use and the site searches its own database of sounds - which does appear to be fairly large, and so this is a good site to bookmark and explore for your sound clips. This site offers a large collaborative database of audio sounds available to use under the Creative Commons License (i.e. you can use it for free as long as you include attribution to the creator). There is a large community of contributors, so here you will find a good range of free samples, recordings, bleeps, audio snippets and more. To download a file you will need to register/login. Freesound also have an API that enables researchers and developers to access metadata, analysis files & the sounds. Just as the name suggests, here you will find lots of sound clips all free for you to use. The site is dedicated to providing free sound effects for various uses – so take a look around – just be careful to make sure you check the licenses as some require attribution and some don’t. There are many great free sound effects on this website which are worth taking a look at but don’t be fooled by the name of the site. They also have some pro sound effects and so don’t be alarmed by this but they’re quite reasonably priced starting at $1.99 upwards. With over 1 million users and 200k sound effects and loops, Soundsnap is an excellent platform to use when searching for sound effects for your game or film. The audio sounds aren’t free to use but the pricing is reasonable at $15 for 5 sounds or $29 for 20 sounds. Or if you prefer there’s a monthly and annual subscription option for regular users. This is an indie sound design label with high quality free sound effects and sample libraries. Everything is royalty free for both commercial and non-commercial use. Many sound designers have come together to make their sound effects available to download and use in game development projects, video production, music projects and other media uses. Here you will find both sound effects and royalty free music in .wav and .mp3 formats. Some require attribution but all are free to use. It’s a great place to find sound effects like fight or machine sounds as well as laughter, funny voices and animal sounds! This site claims to be the fastest growing free sound effect and royalty free music library online, and so it’s definitely one to watch. The sound effects can be downloaded as .wav or .mp3 files and attribution may be required for the various sounds. Over 2000 sound effects can be found via this stock music site. Whether you’re looking for electronic sounds, clips from animals, crowds, industrial sounds or anything else – take a look around this sound effects library. This isn’t the most modern website around but there are a variety of sound effects to be found here. The main categories are ambiance, domestic, interfaces, machines, mechanical, people, transportation and voices. You may already know this website and be exploring it for free graphics and artwork for your game, however, it is also a source for free sound effects. There are also some useful forums where you can meet other game developers, share experiences and ask for help. I hope that you've found these resources useful. If you're looking for some help with the music to your game, feel free to drop me a line. I'd be happy to explore this with you. About the author: Ninichi is a game and film music composer. She works on a range of freelance composing projects supporting talented game developers and film makers with their music. Want some great custom music for your game? 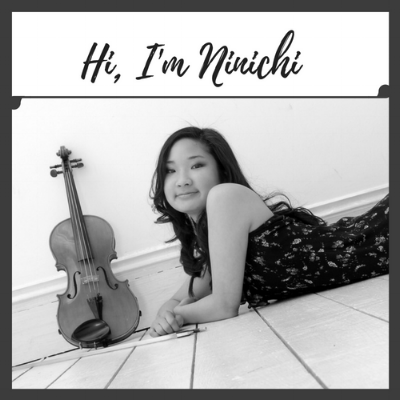 Listen to Ninichi's game music and contact her now to discuss your game music needs. Ninichi is an indie game music composer | film music composer | composer for media | music arranger | game musician available for commissions: ninichimusic (@) gmail.com. Ninichi is based in London, UK, and works on a freelance basis with indie game studios, indie game developers, filmmakers & other media makers all across the globe. If you need a freelance composer for your project, contact her now. Copyright ©Ⓟ 2019 Ninichi Music. All Rights Reserved.